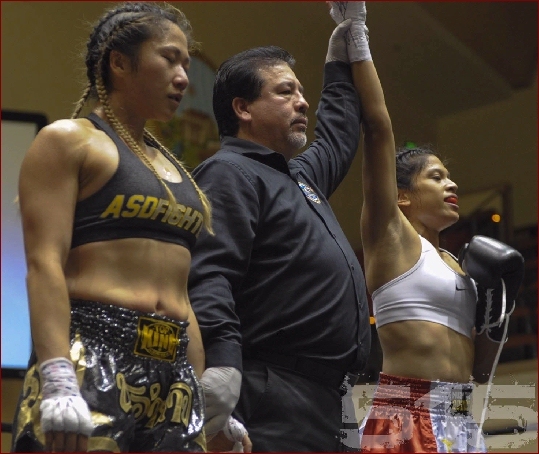 defeated **Kolongshoug Vang (Fresno, California, USA, 1-1, 128.4, 5'5", 10-20-88, Jasper Tayaba, (559) 978-4202) by Split Decision. 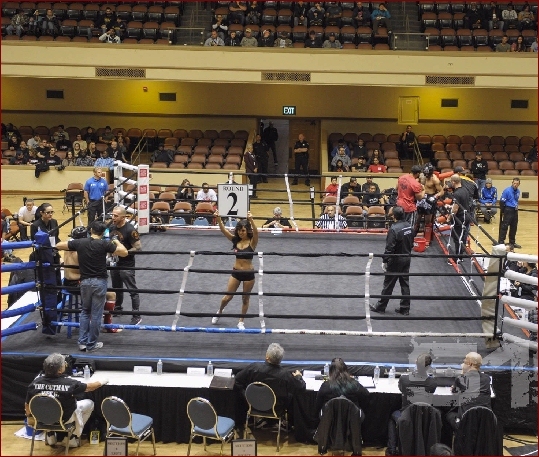 defeated **Tanela Fakasiieiki (East Palo Alto, California, USA, 0-1, AMMA: 1-0, 170.4, 5'10", 5-10-94, Eugene Jackson, (650) 444-9854) by TKO at 1:35 of round 3. Tanela Fakasiieiki has been issued a 30 day No Training & 45 Day No Competition Medical suspension by Dr. Gary Furness due to "TKO, hard fight" until JANUARY 6th, 2015. Mike Rossi has been issued a 180 day No Training & 180 Day No Competition Medical suspension by Dr. Furness due to possible "fracture to right foot" until MAY 21st, 2015. 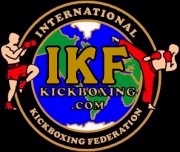 Rossi can be cleared for fracture by MD Letter submitted to IKF and if so, shall only have a 30 day No Training & 45 Day No Competition Medical Suspension until December 20th, 2014.
defeated Anthony Alexander ( (Sacramento, California, USA, 0-6, 132.6, 5'7", 8-31-80, Harry Seperas and Jordan Balcita, (916) 812-2659) by Unanimous Decision. defeated **Brandon Hester (San Jose, California, USA, 0-1, AMMA: 9-1 (Camo MMA: 9-2) 185.6, 6'1", 5-11-86, Eugene Jackson, (650) 444-9854) by Split Decision. 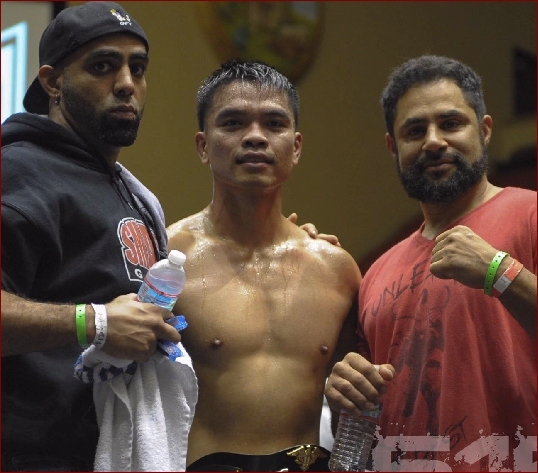 defeated **Le Phan (Newark, California, USA, 0-1, 154.2, 5'10", 2-7-79, Greg Surat and Amorndet Ranjanhuek, (209) 712-6218) by TKO at :14 of round 2. 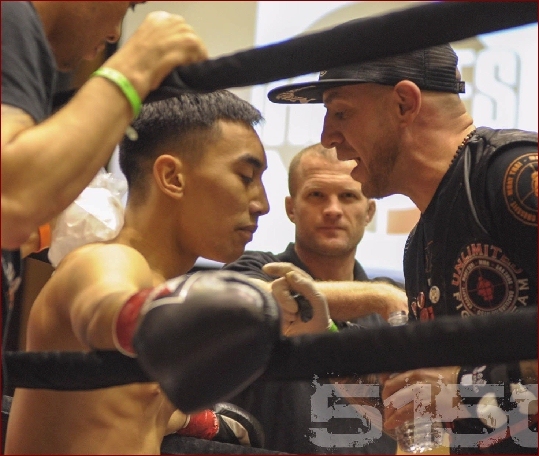 Le Phan has been issued a 30 day No Training & 45 Day No Competition Medical suspension by Dr. Gary Furness due to "TKO" until JANUARY 6th, 2015.
defeated Jane Cornell Banks (Clovis, California, USA, 0-2, 120.6, 5'5", 10-29-85, Jasper Tayaba, (559) 978-4202) by Unanimous Decision. NO HEADGEAR OR SHIN PADS REQUIRED. 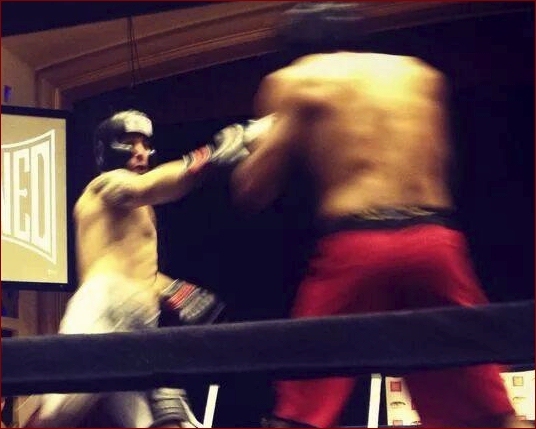 defeated James Clark (Fresno, California, USA, 3-2, 158.4, 5'11", 4-2-87, Art of 8, James Contreras, (559) 396-1026) by Unanimous Decision. James Clark has been issued a 30 day No Training & 45 Day No Competition Medical suspension by Dr. Gary Furness due to " hard fight" until JANUARY 6th, 2015.
defeated Cruz Montenegro (Fresno, California, USA, 5-2, 140.4, 5'9", 8-20-95, James Contreras, Art Of 8 Limbs, (559) 396-1026) by Split Decision.